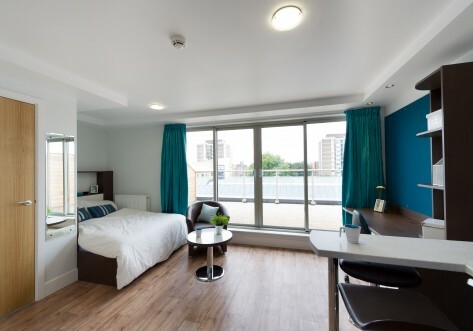 Dashwood Studios is a private student accommodation located on the boundary of Zones 1 and 2 in Southwark just minutes away from all that Central London has to offer. The building comprises of 232 studios with five classifications: Standard, Standard Plus, Premium, Premium Plus and Deluxe. 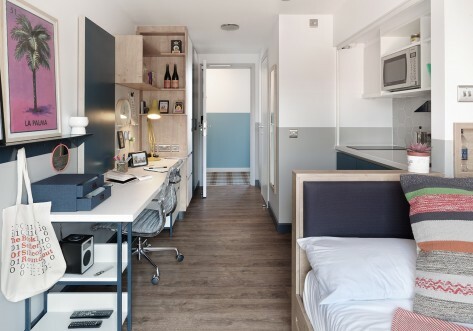 All studios include a kitchenette (with microwave/oven, fridge/freezer, twin electric hob, kettle & breakfast bar) as well as an en-suite shower room, double or 3/4 double bed with storage underneath, double wardrobe, large desk, iron and ironing board. All bills are included in the rent as well as a 50Mb unlimited usage wireless internet connection. 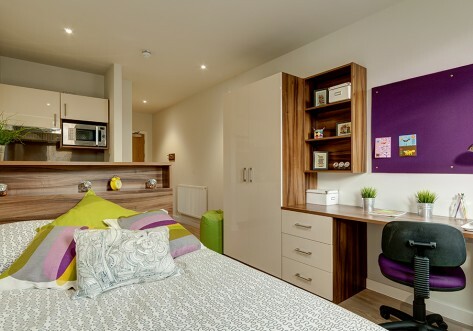 This is student accommodation as it should be: comfortable, clean, affordable…….and FUN! If you are interested in our accommodation please contact us to arrange a viewing. Dashwood Studios is a purpose built modern complex situated near the Elephant & Castle tube station, just a few minutes travel from many of the major universities in London. 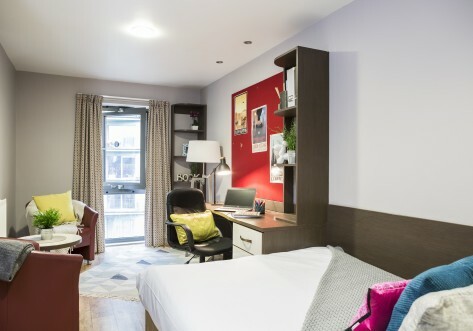 It is solely studio accommodation with private kitchens, en-suite bathrooms, 24 hour staff, study rooms, balconies, roof terraces, high speed internet and close proximity to local amenities.